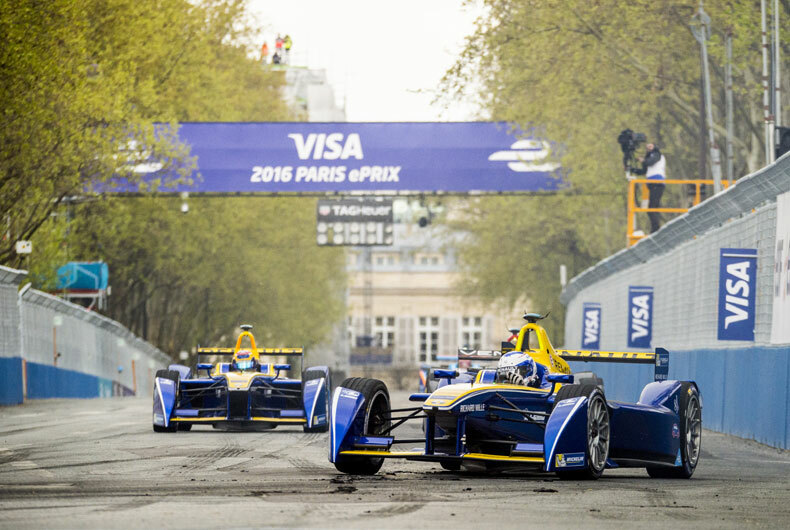 Paris ePrix : What a race! 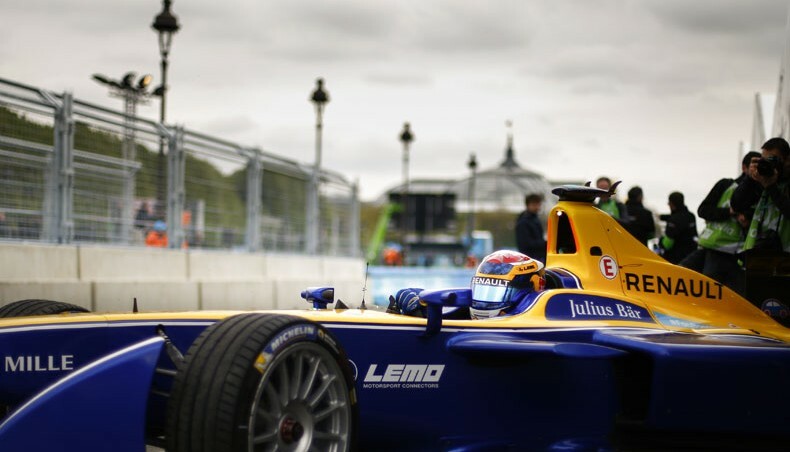 Paris city centre enjoyed a memorable première on Saturday, hosting the seventh leg in the 2015/2016 season of the FIA Formula E Championship. For Paris’s first grand prix in more than half a century, the organizers went to untold lengths to give the public a show they’d remember. In the run-up up to the race itself, tickets for which had sold out well before the date, Renault ZOE warmed up the public with a fantastic demonstration. A fleet of Zoés with experienced drivers at the wheel and a payload of enthusiastic amateurs on board ran the 1.93 km circuit round the Les Invalides district of central Paris in two minutes flat, much to the delight of the spectators close by, just the other side of the barriers, visibly amazed at the performance of an electric car capable of approaching 150 km/h. 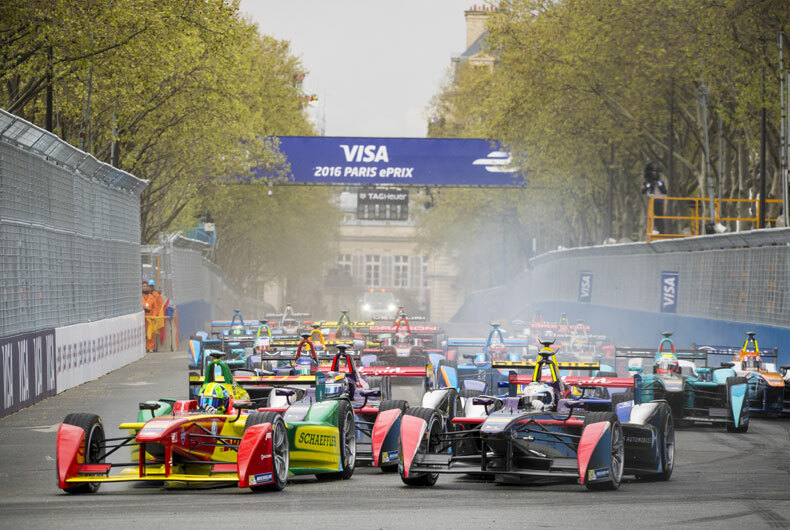 The race itself held considerable significance for two reasons, as one of the legs in the second season of the Formula E championship, and as the first motor race of this scale to be run in the French capital for decades. The last race to take place in Paris was in 1951. Then Saturday’s race was no ordinary motor meeting anyway, since it was run by 100% electric cars. Following the qualification and other trials, the gruelling hour-long race as such started at 16:00 sharp. The winding circuit was narrower than it looked. Each turn held a potential opportunity. Anything could change from one segment to the next. And the single-seaters frankly have little to envy the bigger classic Formula One racers. Their performance is quite extraordinary, and top speeds are spectacular! 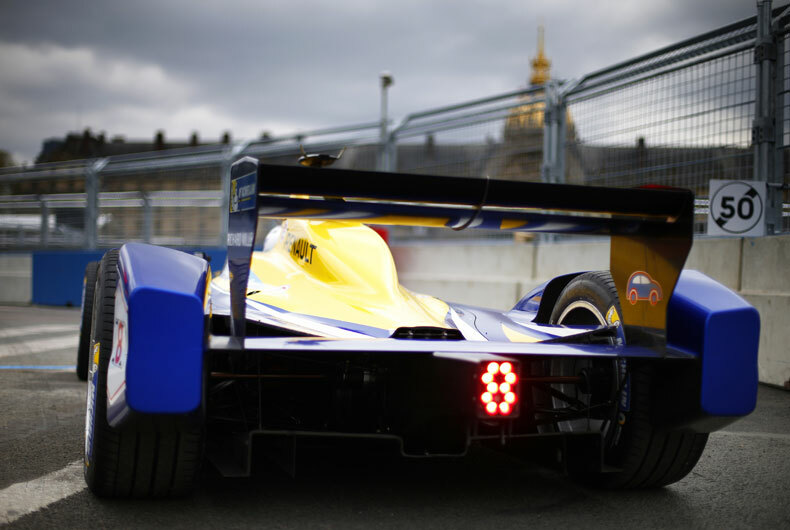 The street circuit round the Les Invalides district, a magnificent historic backdrop, was completed in barely a minute: absolute efficiency for unparalleled excitement throughout each and every one of the forty-five electrifying, energy-packed laps in the event. Sébastien Buemi: a remarkable pullback! 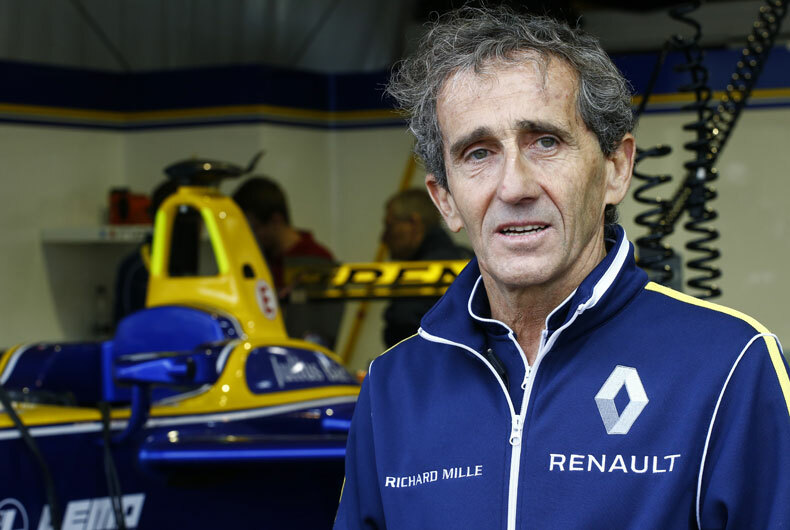 For Sébastien Buemi, driver in the Renault e.dams team alongside Nicolas Prost, the Paris race was an important fixture, and his performance here would enable him to hold onto his position as second in the overall ranking. A lukewarm qualification session left him eighth on the starting grid. 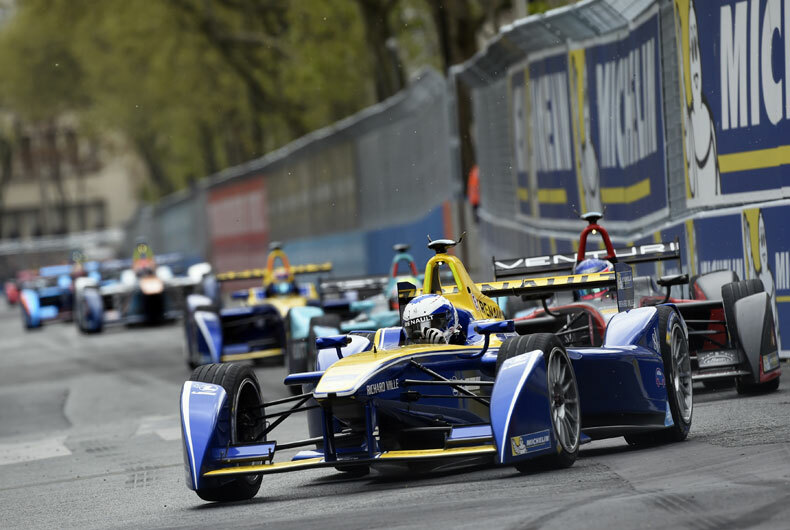 But through motivation, talent and sheer pugnacity he gradually pulled back up, lap after lap, overtaking Sam Bird in the closing moments, using fanboost, to achieve a superb third place on the podium, with team-mate Nicolas Prost close behind. 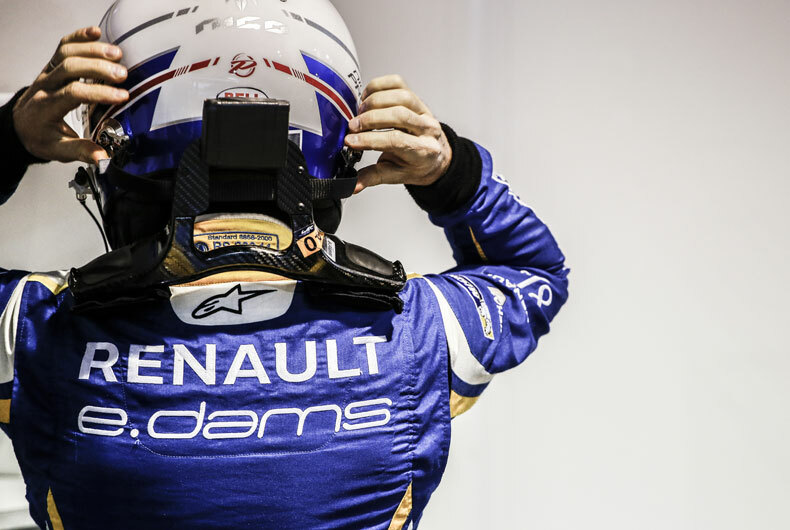 At just 11 points from Lucas Di Grassi at the top of the overall ranking, Sébastien Buemi confirms that Renault e.dams might reasonably expect top two places by the end of the season.